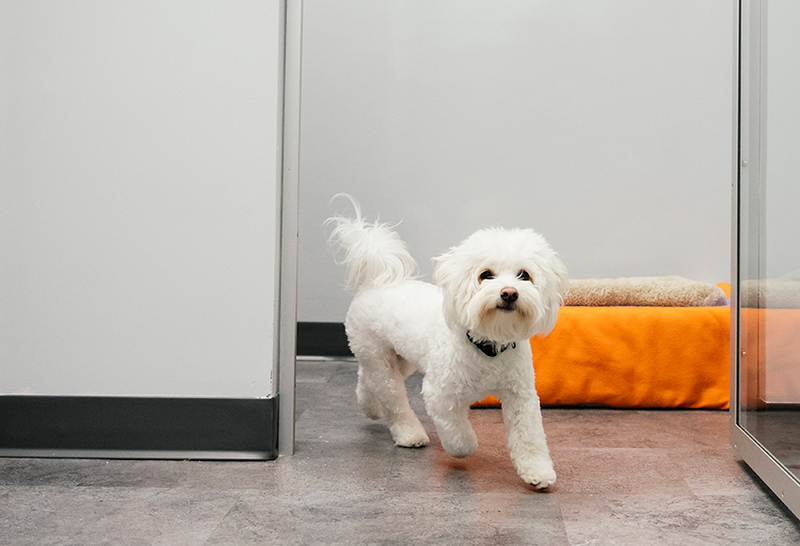 Feel guilty leaving your pup alone all the time? 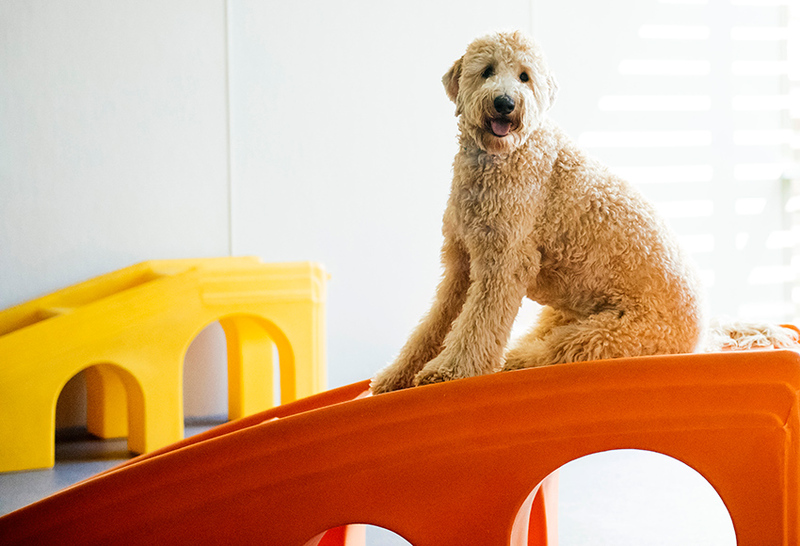 Dogtopia of Louisville-Hurstbourne is your full service destination for dog daycare, boarding, and spa services. 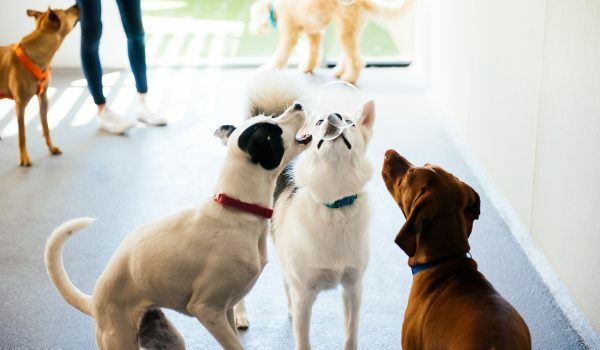 Our professionally trained dog experts are devoted to providing a safe, clean, stimulating and fun environment for dogs of all different sizes, breeds and ages. Owners Ben Carter and Mike Browning strive to provide a hassle-free experience for you and your furry family member. Age: 1 1/2 years young! Favorite Activities: Scout loves the agility equipment! Scout also enjoys the outside area! Friends: Reba the Bernedoodle and Sophie the Basset hound! Most Lovable Qualities: Scout has such a loving personality, making friends everywhere he goes! Scout also has a smile that will make you smile right back! What sets us apart is our home-away-from-home atmosphere. 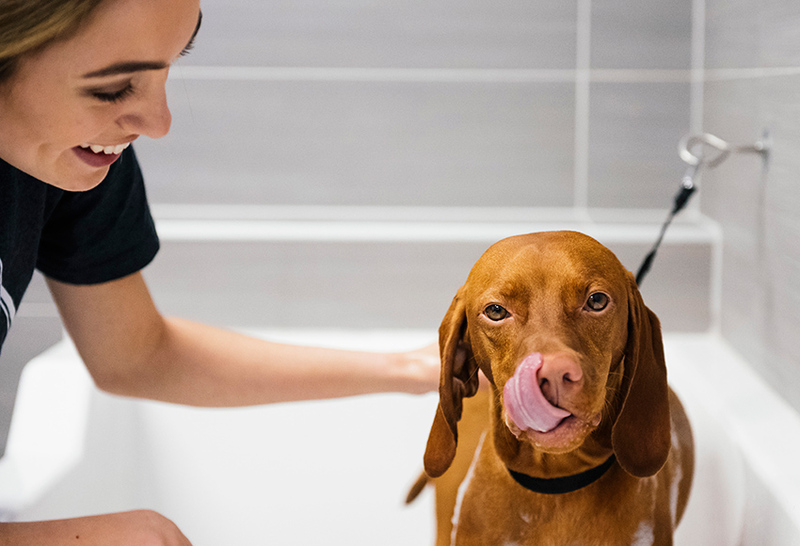 Your dog has the freedom to play, relax and feel just as comfortable as they do at home – while still under professional supervision. 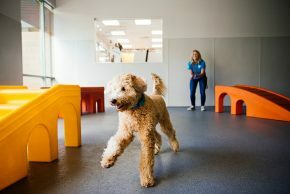 We want our clients to rest assured that while in our facility, your pup will be engaging in play with other dogs in a safe and friendly environment. We are located in the Hurstbourne community, serving Douglass Hills, Wildwood, Lyndon, Bellemeade, Anchorage, St. Matthews Mall and Oxmoor Center. Dogtopia of Louisville-Hurstbourne is conveniently located just ¼ mile west of Hurstbourne Parkway & Shelbyville Road intersection. There’s easy and quick access off Hurstbourne with a traffic light controlling ingress/egress to our shopping center. We have ample parking out front, making drop-offs and pick-ups a breeze. 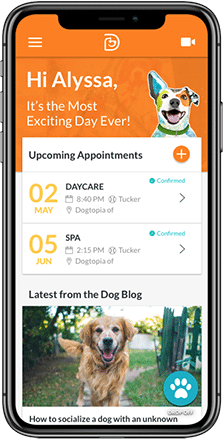 We are conveniently located to shopping and dining and offer our services to pet parents to leave their pups for an afternoon of daycare while they shop, dine, and then pickup their dog after a bath. We call this service “drop and shop”. 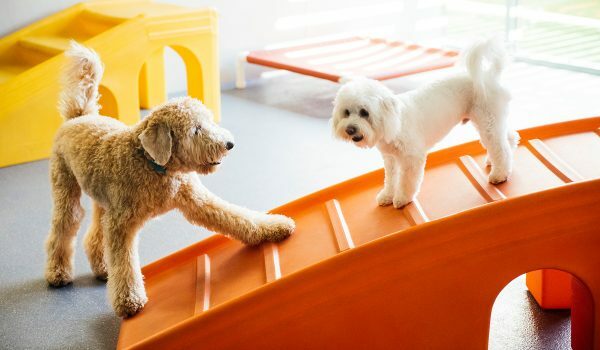 Pet parents who visit and use our facility praise the amenities, transparent pricing, friendly staff and beautiful location, making Dogtopia of Louisville-Hurstbourne the obvious choice for daycare, boarding and spa services. 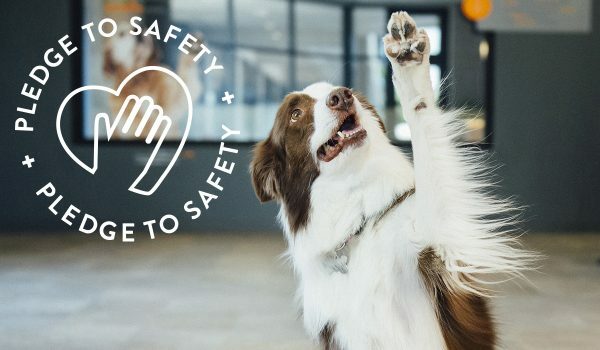 Please feel free to contact us by calling 502-554-9661 or filling out our enrollment form and we will work together to find the perfect package for you and your pup. We also offer free tours at our location so you can take a look at all our facility has to offer. We accept cash, checks, AX, Visa, Discover, and Mastercard. Be sure to follow us on Facebook, Instagram and Twitter for all the latest updates!